After posting bail in Upper Marlboro, you are expected to attend every mandatory court appearance and meet all of the other conditions of your bail. If you miss even one court appearance or fail to fulfill other conditions of your bail, this is known as skipping bail. Skipping bail, also referred to as jumping bail, is never a wise decision. Your bail will be revoked, the bail bondsman will track you down, and you will face additional penalties for your actions. Your bail will be revoked. Your bail will be rapidly revoked after you miss a mandatory court appearance. Your bail might also be revoked if you are suspected of committing another crime while on release, if you violated an order of protection, or if you violate any other condition of your release. Once your bail is revoked, the court can issue a warrant for your arrest. A bail enforcement agent will track you down. A bail bondsman contracts with bail enforcement agents, popularly known as bounty hunters. Bail enforcement agents are authorized to arrest bail jumpers and return them to court. 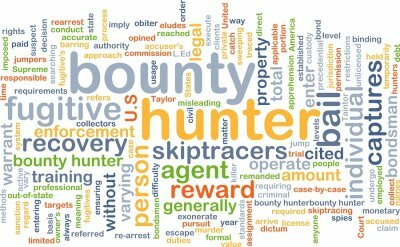 Although the regulations vary from jurisdiction to jurisdiction, bounty hunters are generally authorized to enter the bail jumper’s home without an arrest warrant or the home owner’s permission if the bail jumper is suspected of being inside. The bail bond will go into forfeiture. When a defendant’s bail bond has been declared forfeited by the court, this means the bail bondsman must produce the defendant in court or the full amount of the bond must be paid. Typically, this means that the family member or friend who put up collateral for the bail payment will lose that collateral. You may face additional charges. Bail jumping is its own criminal offense. This means that in addition to going back to jail to await the resolution of the original criminal charges, you could face additional criminal charges for skipping bail. This can add to your time behind bars and increase potential fines. The judges in future criminal cases will hesitate to set bail. If you are ever arrested for another criminal offense later on, the judge at your arraignment hearing will consider whether you have previously jumped bail. If so, the judge will likely decide not to release you on bail again. 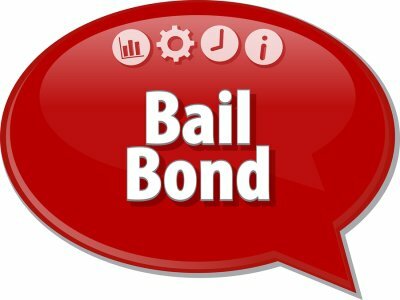 Affordable bail bonds are a way for defendants to be released from jail while their case is still pending. Unless you’ve previously arranged for someone’s release, you might find the process of posting bail in Upper Marlboro to be rather confusing. Your best source of information about posting bail is the bail bondsman. If you have any questions about bail bonds, it’s advisable to find out the answers before you sign any paperwork or make a payment. Before your loved one can be bailed out of jail, he or she must attend the arraignment hearing. During this hearing, the judge decides whether or not to set bail. The judge may refuse bail if he or she has reason to believe that the defendant might be a flight risk. Bail might also be refused if the alleged crime was particularly heinous. If the judge decides to grant bail, he or she can consider a number of factors before determining the amount. The Eighth Amendment prohibits judges from setting excessive bail; that is, bail is not intended to punish the defendant. However, bail must be high enough to convince the defendant to return to court when ordered to do so. The judge may consider the nature of the charges, the defendant’s prior criminal history, the defendant’s prior history of skipping bail, and his or her ties to the community. If you agree to take out a surety bond, you will pay the bail bondsman a percentage of the bail amount. This payment is non-refundable; it is the bail bondsman’s payment for his or her services. If bail is quite high, such as in excess of $100,000, then a property bond might be more practical than a surety bond. A property bond involves putting up collateral such as a house. You should think carefully about the situation before going forward with a property bond. If the defendant violates the conditions of bail, such as by not showing up for court appearances, then the court can seize your house or other property.